I think it’s always a great move for prospective students to not only think about what they want to do, but also to imagine what careers might be in the future. The easiest way to do this is by following business and career related news such as Business Insider, Forbes and Time. There are certainly jobs that exist now that didn’t even exist 20 years ago. Thankfully York offers degree programs for all of these exciting new potential careers. Read on to find out more! I wonder what hotdogs of the future might taste like? (lol I clearly ask the important questions) Image Source. I personally can think of two degrees that would be great for this career – Biology and Chemistry as they can provide the perfect science background. Taking electives will fine tune your degree to meet the needs of this career and in this case many kinesiology (KINE) courses that focus on nutrition would be a great benefit, perhaps enough to even justify a minor! Well we are definitely in the right city for this future career! I definitely recommend taking Communication Studies which offers useful streams (not limited to) media and culture & society. Even something like a certificate in Marketing (while you do your degree of course) could give you that added edge over competitors. You can even keep an eye on Career Postings as a York student as there are work study positions on campus that relate to social media and will help you gain a ton of great experience. 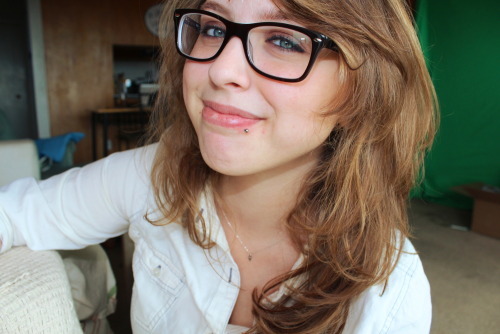 YouTube educator Laci Green. Image Source. What’s amazing about this future career is that you can pretty much study anything and as long as you have that passion and familiarity with social media, you could find a lot of success. Look how far some of the top YouTube educators have come, like Laci Green. I do recommend considering adding a Bachelor of Education to your degree of choice, whether concurrently or consecutively as York has a very competitive program and it will help foster teaching and learning skills to maximize your potential. You might even consider taking some communication electives (COMN)! This is also a neat future career! I personally think a degree such as Digital Media could go a long way in qualifying our next generation of students. York’s Digital Media also allows the option of affiliation with the School of the Arts, Media, Performance & Design OR with Lassonde School of Engineering which allows you the opportunity to really tailor this degree to your interests. You might also find a double major or minor in Geography to be helpful as it covers a lot of topics related to this up-and-coming field. If they could game-ify WHMIS training which is important, albeit boring, that would be an awesome start alone! Image Source. This is such a neat career concept, especially in this day and age and I could totally see how this could happen. I do think Digital Media could also be a useful program for here but I would also recommend a major or minor in Psychology as reward and ‘playful recognition’ is definitely addressed from the ground up. York’s Psychology program also boasts the largest department in Canada and a diverse offering of courses either as a BA or BSc. Another option would be our Human Resources Management program which tackles this career more from the business side. Which future careers are you most interested in? Don’t forget to ask any related questions when you are visiting OUF this weekend. For more information on the Ontario Universities Fair, check out my last article Getting the Most out of the Ontario Universities Fair.